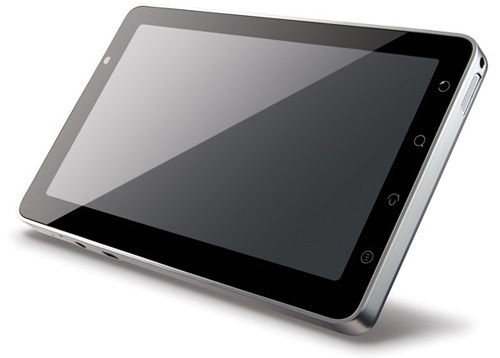 Discussion in 'Android Tablet News' started by dandroid, Aug 31, 2010. How much will this tablet cost, and when will it be available in the US? Nothing about this on their web site - anyone know where these will be supplied from or any other details? I've heard about a few weeks ago as a rumor. I didn't post anything here about it. Price wasn't mentioned back then. This looks like the same on for ZT-81 or generic tablet except it's under Viewsonic name plate. Here is an update. You can pre-register interest at this web site. Neither the ZT180 or the TCC8902 are being upgraded to Froyo that quickly. There's a good chance that this is using a different chipset. The device seems to look good. But I think its cons will be on its thickness of the device compared to Samsung Galaxy Tab. Hope to see how the capacitive screen perform. does anyone know how the phone feature would work. i mean will they have versions that will work with multiple carriers. Errr, another tablet with a contract? Headphone jack on bottom - that is very poor planning for someone that may want to use it for video viewing.